You'll feel like royalty in these gorgeous purple-toned earrings. 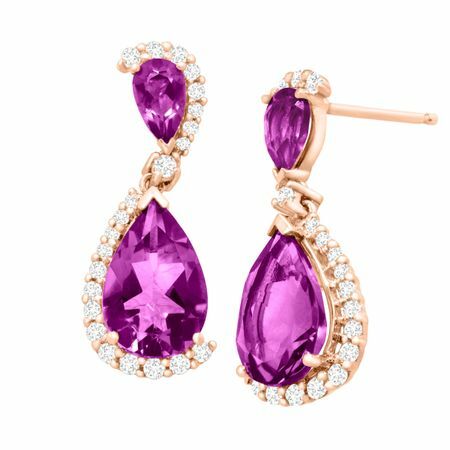 Boasting 2 1/2 ct of pear-cut natural, lighter-colored amethyst, these earrings are surrounded with diamond accents and set in 10K rose gold with friction back-findings. Pieces measure 13/16 by 5/16 inches.